Calm down. Don&apos;t panic. 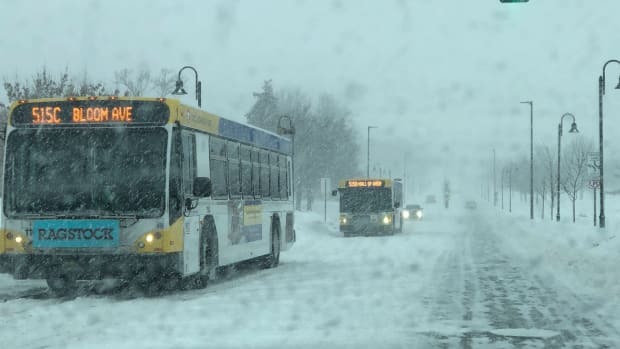 Nothing is guaranteed to happen just yet, but in today&apos;s Weather MN blog, brought to you by Pet Evolution, you should know that the National Weather Service (NWS) is talking about the potential for a winter storm this week. 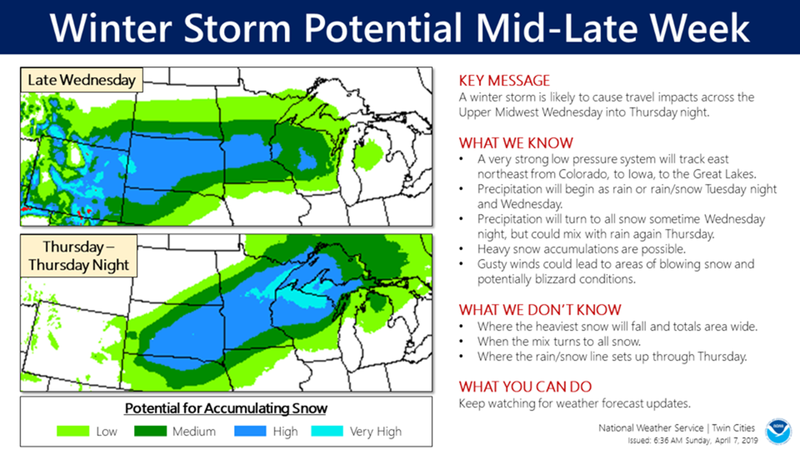 "A winter storm later this week will be worth watching in the coming days. 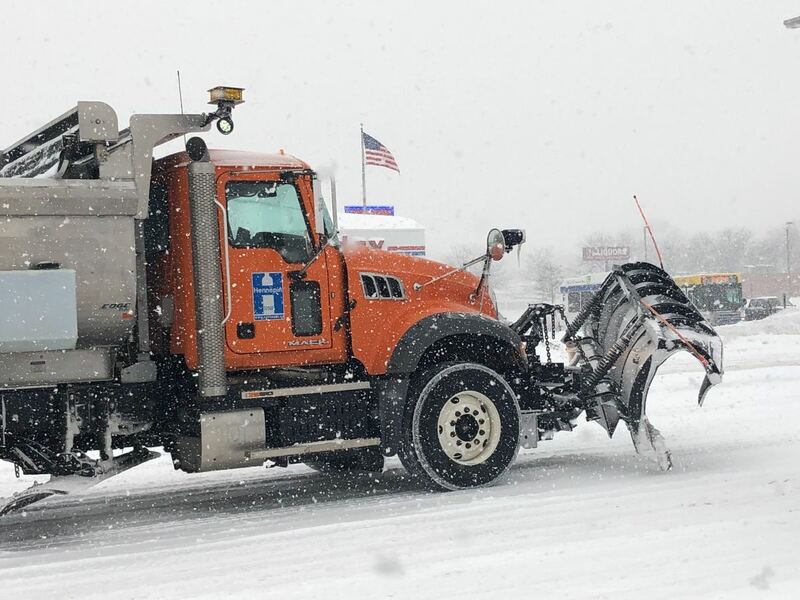 Heavy snow accumulation is likely somewhere across the Upper Midwest later Wednesday into Thursday night," says the NWS in a post to its Twin Cities office&apos;s Facebook page on Sunday morning. We can&apos;t stress this enough: Nobody knows if it&apos;s going to snow, where it will snow and how much it might snow yet because the storm system remains out over the Pacific Ocean and is still 4+ days from POSSIBLY impacting Minnesota. Expect these details to change over the coming days. 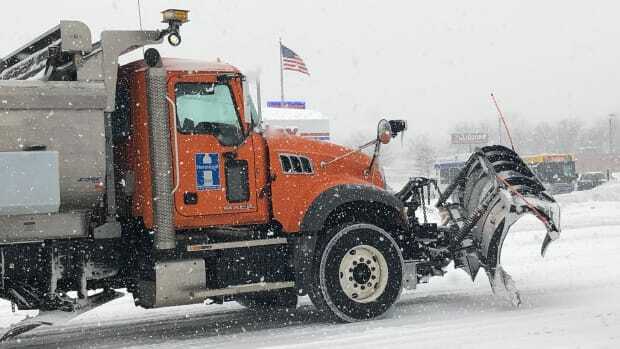 Nonetheless, as of Sunday morning, the NWS is discussing winter storm potential in the Wednesday-Thursday timeframe. It should be noted that maps from the NWS like the one above claims "high" and "very high" confidence for areas to be impacted by the winter storm, but we&apos;ve seen it before where those areas change significantly. Bottom line: It&apos;s smart to be aware of what might happen, but don&apos;t feel like you need to rush to the store for bread and milk based on maps that are probably going to change between now and when the storm system actually arrives. If you live in the Twin Cities you&apos;re used to being on the rain/snow line, and that could very well be the case again this time. It might be all rain, it could be a sloppy mix of precipitation or it could snow. Nobody knows yet and details will be refined in the coming days. Below you&apos;ll see a computer model (GFS model) that reflects possibilities between 6 p.m. Tuesday and 1 p.m. Friday. This model has had some wild swings the past few days, so take it with a grain of salt. That said, the NWS says other computer models have the storm system on a similar track. Here&apos;s how much snow has been recorded at MSP Airport the past 10 Aprils. 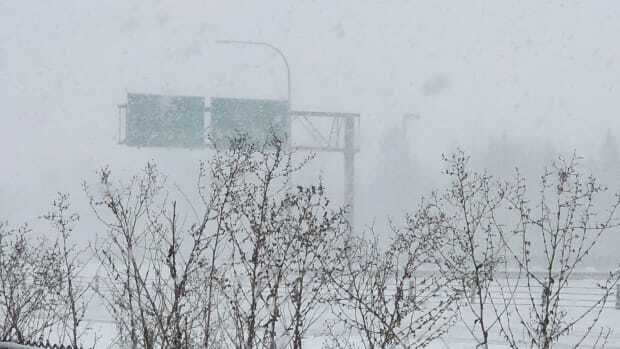 Last year was crazy with the April 14-15 blizzard that dumped 1-2 feet of snow in parts of southern Minnesota, including in the Twin Cities. It&apos;s possible that it could happen again, but don&apos;t cancel your plans just yet.